BlackwaterBLUE from monkster.com: Benayoun to Spurs in PX for Modric? Benayoun to Spurs in PX for Modric? 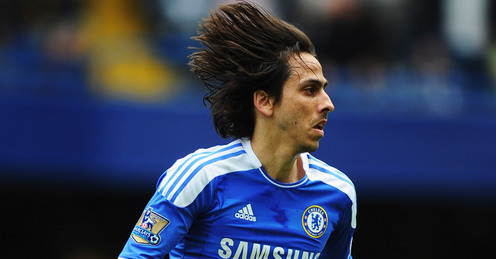 Chelsea may be prepared to use Yossi Benayoun as bait to prise Luka Modric from Tottenham. Spurs manager Harry Redknapp has long been an admirer of Benayoun, and showed interest in the creative midfielder when he left Liverpool last year. The Israel captain moved to Stamford Bridge instead but failed to make an impression in a season wrecked by a heel injury. He has barely played for the Blues, having ruptured an achilles tendon in September and spent seven months recuperating, an absence which limited him to only one start in the Premier League under Carlo Ancelotti. However, he has been bright during pre-season but it is indicative of Chelsea’s desire to land Modric that Andre Villas-Boas is prepared to sacrifice Benayoun. Since arriving from Porto in June, Villas-Boas has spoken many times about the importance of players who can operate ‘between the lines’, bringing fluidity and unpredictability to Chelsea’s rigid system. Benayoun fits into this category, not to mention the fact that he is perhaps the only player to have displayed any chemistry with Fernando Torres. However, Benayoun is 31 and has two years left on the deal he signed when moving from Anfield for £5.5m last summer.